 Kim has extensive experience working with animals starting in 2003 while working with shelter pets at the Dearborn Animal Shelter. She stayed in the field working as an assistant and caring for animals at a boarding/daycare facility before joining the DFPC family in 2015. Kim has 1 horse, 3 dogs and 4 cats. Kim enjoys barrel racing with her horse, going camping and spending time with her family during her off time. Andrea joined the DFPC team in 2014. She has many years of customer service experience and has decided to pursue a career in the veterinary field to pursue her passion for animals. Her ultimate career goal is to one day become a Veterinarian. Andrea currently has 1 cat and 1 dog. Marie joined Dearborn Family Pet Care in March 2002, and has now been with our family for 10 years which Marie feels is hard to belive. She thinks that every day is filled with new experiences and she finds them both fun and challenging! Marie a little pomeranian named Bella and 4 cats, Sabrina, Callie, Shacota and Nico. In her spare time she writes lovely poetry, sings in a church choir, and loves to draw. Jackie started working at DFPC in March of 2010. She loves animals, crafts, cooking and trying new things. Jackie has 7 cats and 1 dog. Kirk has been in the veterinary field taking care of boarding pets since he was in High School. His passion is to provide the best care for each pet possible while they are away from home. Kirk enjoys gardening, fitness and working on Art projects in his free time. Kirk has been a part of our team since 2015. Bianca has worked with animals since 2011. Following her passion to work with animals led her to Dearborn Family Pet Care starting in the fall of 2018. In her spare time Bianca enjoys trying new restaurants and traveling to find new adventures.